Recently I read a NYT story about a new documentary film “Booker’s Place,” about a Mississippi waiter named Booker Wright. 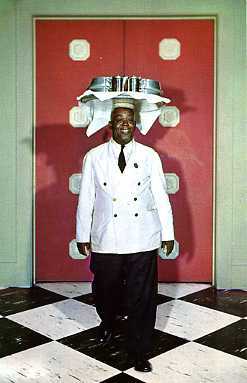 While working at Lusco’s, then operating as a de facto all-white restaurant in Greenwood, Wright appeared in a 1966 documentary called “Mississippi: A Self Portrait” in which people were interviewed about the status of race relations at that time. 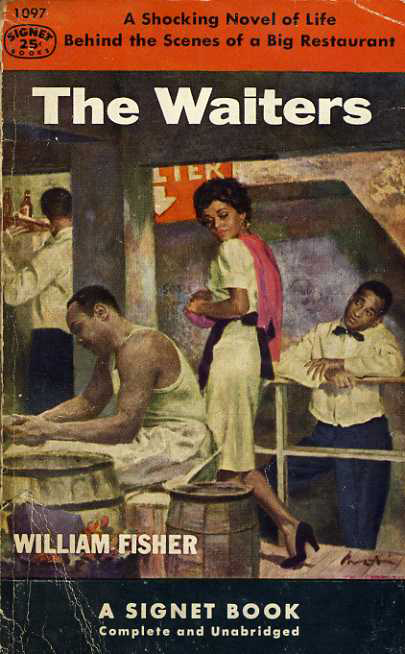 In the 1966 film Booker Wright gave viewers a glimpse of the indignities he experienced serving Lusco’s patrons who sometimes demeaned him or left him no tips. Following the airing of the show on television he lost his job at the restaurant where he had worked since he was a teenager. 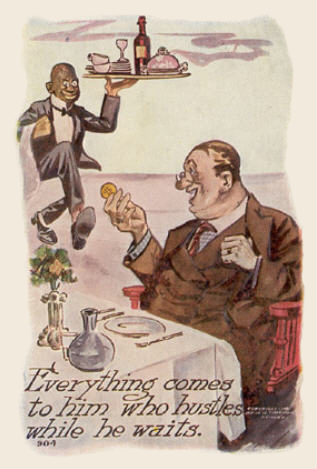 Patrons no longer wanted him to wait on them – he had broken the bubble by revealing his misery in playing the role of a happy-go-lucky black waiter. No doubt he realized beforehand that his interview would put an end to the charade. After leaving Lusco’s he operated a restaurant of his own called Booker’s Place at which both whites and blacks were welcome. No doubt all servers can relate to his words, but I believe they had special meaning to African-Americans, who were being eased out of the profession in Northern cities at that time. “Bring us some lobsters,” the man snapped. “How’d you like them, sir?” Asher ventured timidly. Asher had moved only a few feet away from the table, preparing to go to the kitchen, when the man called him back. “Hey, George,” he said importantly. Asher turned to face him with a tight-lipped expression. George, he repeated to himself. He oughta drop dead right here. To read more about the making of “Booker’s Place: A Mississippi Story” see the blog written by his granddaughter Yvette Johnson. I agree. Being reminded of this is important. Thanks Jan. Thanks for this, Jan. It never hurts to remind us all of the history that informs our present.